I'd like to enable user to bulk-populate the grid, in 2 columns. Each of the 2 columns has one the same answer. 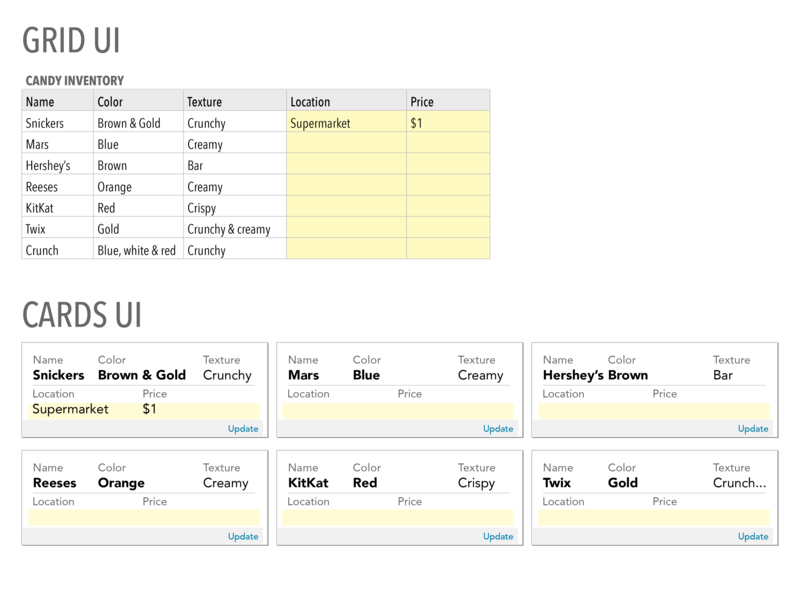 So I want the user to paste into the top body row (header is the title), and the UI auto-populates rest of that column. I don't know how to make user aware that this is possible. Can't think of any site or product that does that. Any ideas? 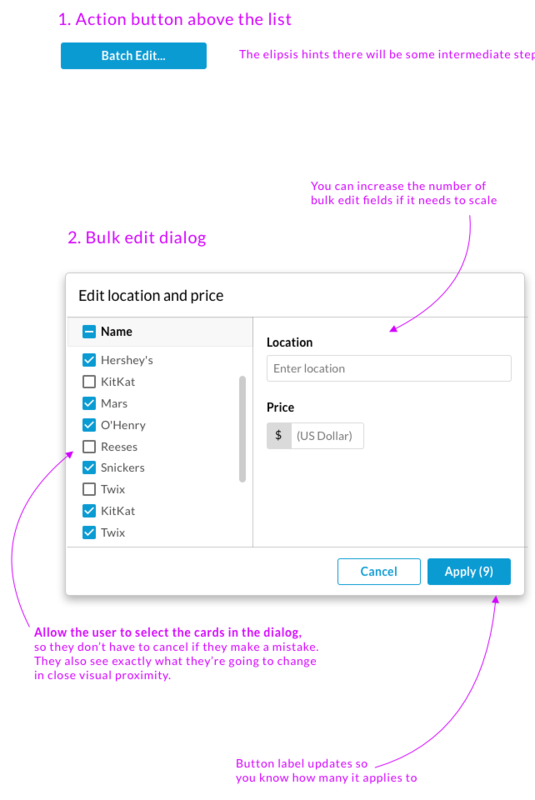 Ideally, I'd like to offer my client the option to use the cards UI. So, same with cards - I'd like to tell user they can bulk populate. I am thinking have an option to "Select All" outside the cards, then a modal window, to add content (in a sample card shape, perhaps), and "Apply". Once modal is gone, cards magically appear with this new content. How is that? If you are keeping the cards list, have them select inside a dialog, not before for batch actions. Have a visible bulk actions, or 'Batch edit..' indicator to start the process, but avoid selection in the cards grid itself. You could allow users to select cards in the grid view; however, this involves large mouse movements across the screen to select each one. Plus if they're out of the viewport, you can't see what is selected. Keep a selectable list tightly coupled with the editable fields in the same dialog. Not the answer you're looking for? Browse other questions tagged grid cards batch-actions or ask your own question.